Everyone wants to have that bright-white smile. Unfortunately, keeping your teeth white can be quite challenging since a lot of foods we eat can lead to surface stains and cavities. There are available traditional treatments, such as whitening toothpastes and bleaching treatments; however, these treatments can sometimes cause tooth sensitivity and pain. If you want to avoid chemical treatments, there are a few techniques that can help in whitening your teeth, and let it sparkle naturally. The first step to whiter teeth is to observe proper oral hygiene. It is vital to keep your teeth and gums healthy so that it will look good and beautiful. If you have poor oral hygiene, your teeth and gums won’t look good and no amount of white teeth can make it look attractive. After that, you can find natural products that can whiten your teeth and provide you with a healthier smile. Crunchy, crispy fruits have a certain roughness that can help in lifting stains from your teeth without harming your enamel, and give the illusion that your teeth are whiter. The crunchier the food, the rougher it will be, and the cleaner it will get your teeth. Fruits and vegetables, such as carrots, celery, apples, and pears, are considered nature’s toothbrush. To benefit from the abrasiveness of these fruits and vegetables, you must eat their whole form. For example, bite into your next apple instead of cutting it or putting it through the juicer. Recent studies show that cheese, milk, and yogurt contain minerals that can improve the appearance of the teeth and keep it strong. For one, eating small amount of chess every after meal can also help in preventing tooth decay and promote enamel re-mineralization. Milk and yogurt, on the other hand, can keep your teeth cavity-free because they contain minerals including calcium and phosphorous which can improve the teeth enamel. 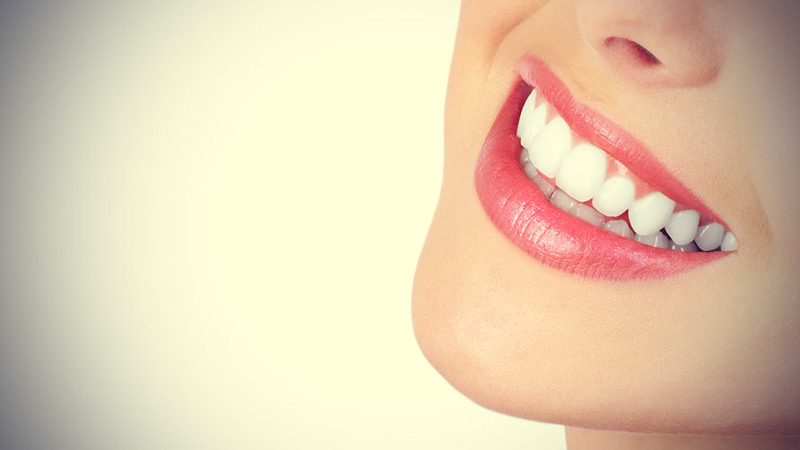 When the enamel is strong, your teeth will be able to withstand other natural remedies. Strawberries are known to promote whiter teeth. This fruit has malic acid, which can remove discoloration on the teeth’s surface, and the rough texture helps strengthen the enamel, resulting to a whiter, brighter, and smoother appearance. You can rub the strawberry back and forth across your teeth’s surface then rinse your mouth thoroughly with water. You can also eat chocolate covered strawberries. The chocolate can act as an antibacterial because of the cocoa husk. The downside is that chocolate contains sugar; thus, you must not over-indulge. Lemon juice has a bleaching effect on teeth. You can use your finger or a soft cloth and rub the lemon juice on your teeth for a few seconds. You can also mix salt with lemon juice and use your toothbrush to brush the entire surface of your teeth. The coarse texture of the salt scrubs the teeth without causing damage to the enamel. Salt can also remove plaque buildup. After brushing your teeth with the mixture, rinse your mouth thoroughly with warm water to avoid any damage due to the lemon’s acidity. Baking soda had teeth-whitening effects. You can mix it with water and dip your brush into the mixture. Brush your teeth for at least two minutes then rinse your mouth thoroughly. Afterwards, brush your teeth using your toothpaste for at least thirty seconds. However, you must only use this technique at least once or twice a week to prevent developing tooth sensitivity. The author, Kris Lim, is a blogger for dental websites where she offers tips and simple techniques on how to achieve a beautiful smile. She also regularly contributes articles regarding teeth whitening techniques and dental care for Kevin Stock who is a professional dentist. Thanks for promoting natural whitening as opposed to the in-clinic bleaching alternatives. We’ve also posted some tips on how to brighten your smile using make-up and clothing in color choices to enhance the sparkle. A nice column there and some great tips. I personally recommend an initial visit to the dental hygienist for a really good clean. Once you’ve had that initial work done keeping a bright white smile is much easier.